The video La misión Gaia shows the Spanish participation on the project. 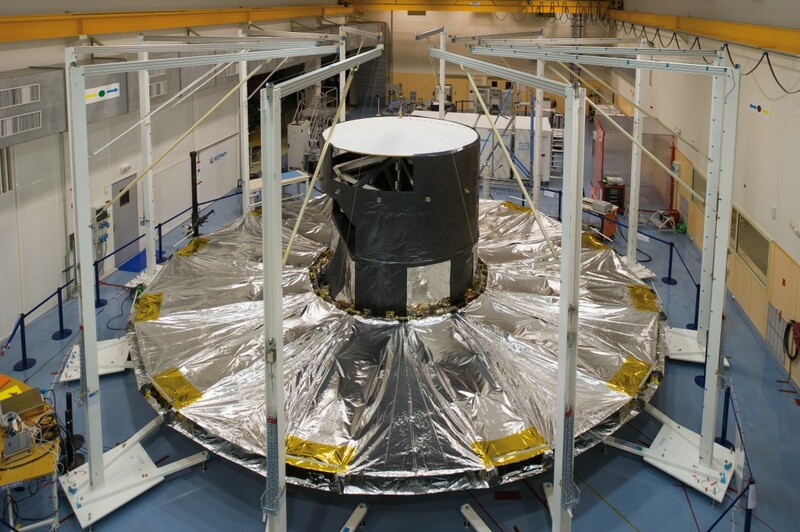 The video is split in five sections, and explains the details of the Gaia mission, with spectacular 3D animations and interviews with Spanish experts working on the mission. The video was created by our team with the collaboration of others Spanish teams involved in Gaia. This video won a “Ciencia en Acción” prize in 2013. 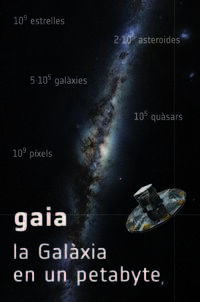 Charting the Galaxy – From Hipparcos to Gaia is a vodcast edited by ESA (European Space Agency) to present the Gaia mission. In this vodcast Rebecca Barnes discovers the motions of the stars, learns how astronomers measure their distances and looks at the new European mission that will really get to grips with our place in the Universe: Gaia. Our team translated the vodcast to Catalan and Spanish. Here you can find the new video about the ESA Gaia mission and our involvement produced by UB television. This video is also available in spanish and catalan. 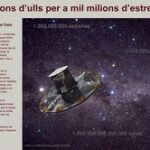 ESA Brochure translated to Spanish by our team. Eclipse Calculator 2.0 is an Android app to compute and simulate astronomical events. 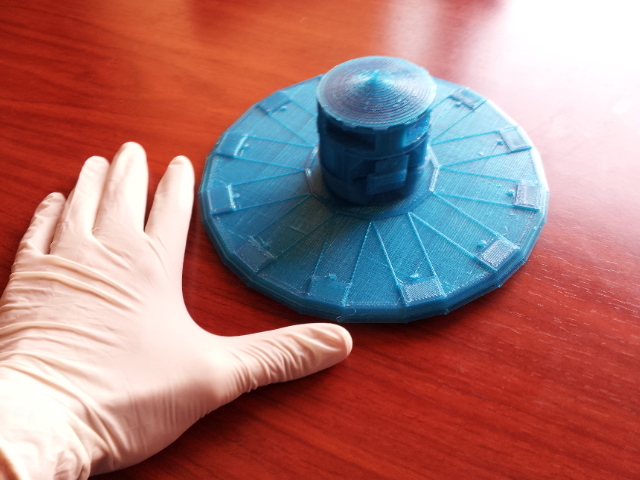 A tool for astronomy lovers that allows to know in a simple way the general and local circumstances for solar and lunar eclipses and planetary transits. Which futur eclipses will be visible from my location? And from the antipodes? What they will be like? How long will they last? And in the past, how many eclipses have there been? All these and many other questions about both, eclipses and planetary transits, are answered with this tool. 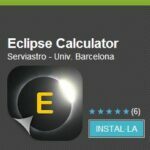 Eclipse Calculator 2.0 was created by Eduard Masana, member of our team, and can be download from Google Play. Delivering interesting and scientifically accurate information to the general public is a challenge. 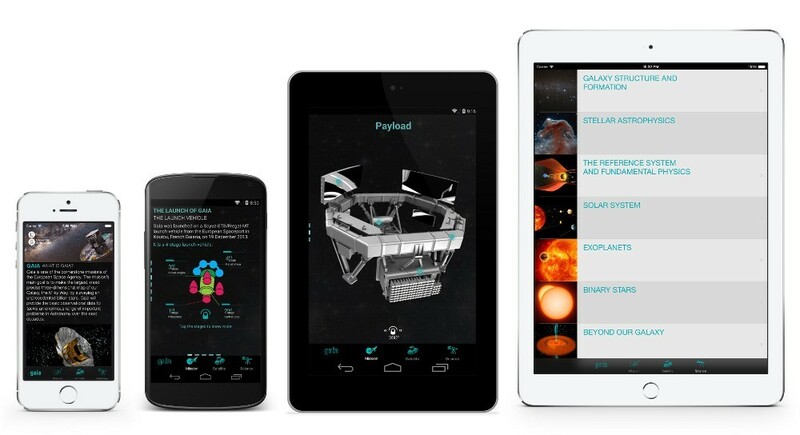 The Gaia Mission app is an interactive application for mobile devices designed to discover the details of the Gaia mission. 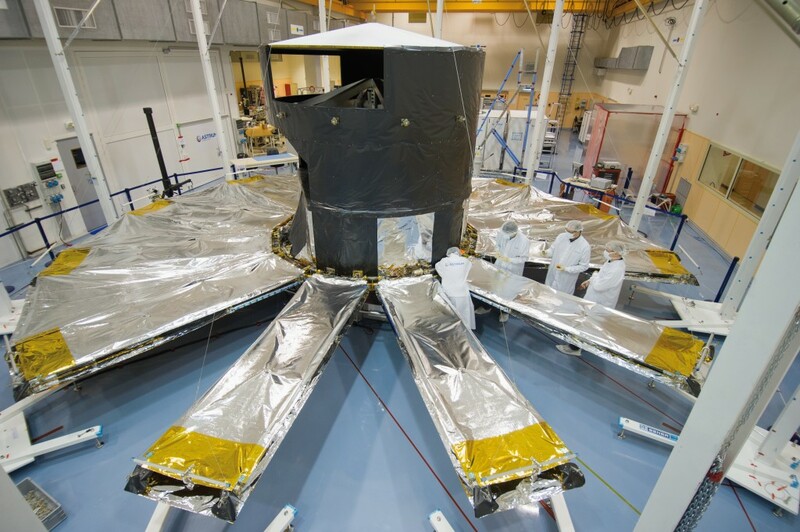 All aspects of the mission are covered, from technical issues to the science behind it. 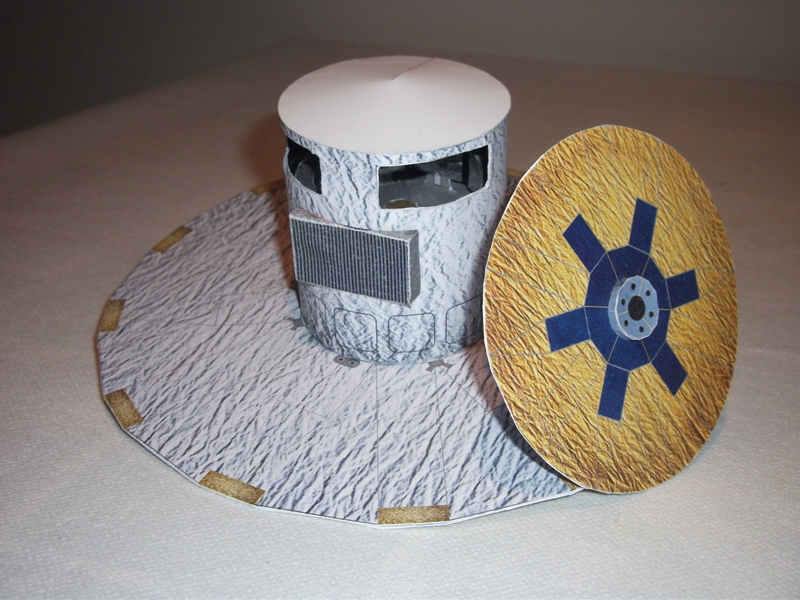 The application is designed to keep users engaged during the whole mission and build interest on the mission achievements while stimulating enthusiasm for astronomy. The App is a collaboration between our team and FUSTA. S.L. This exhibition explains how do we measure the distances to the celestial bodies at different distance regimes (from nearby stars to far-away galaxies). From the determination of the Earth size and the Moon distance with trigonometrical methods to the use of the Hubble constant to get the distance to the farthest gallaxies, the exhibition shows the methods used by the astronomers throughout the History to know the cosmic distances. It is available in Catalan. From the Earth to the Universe is one of the biggest projects from International Year of Astronomy 2009. 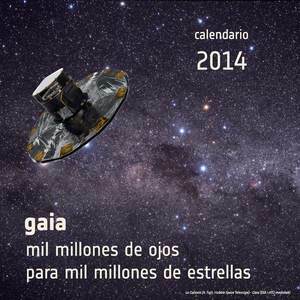 It shows the Universe through beautiful astronomical images obtained all around the world, also from Spain. The exhibtion is componed by 40 panels, sorted from the Earth’s neighbourhood to the deep space. It is available in Catalan. This exhibition is devoted to all the women who contributed in different countries and centuries to Astronomy. The exhibition reviews the contribution of the women to several branchs of the Astronomy. It is available in Catalan. 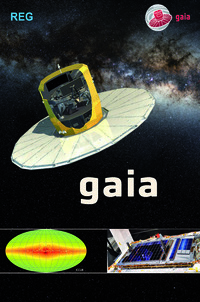 The Little Books of Gaia are A4-page-size summaries of the Gaia mission which can be folded into little booklets. They are available in in pdf format in English, Spanish and many other languages. 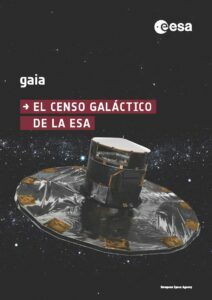 We have designed a postcard (in Catalan) to publicize our new Gaia Mission App! 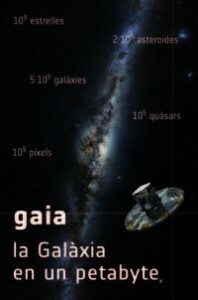 We have hung a huge placard on the patio of the Faculty about the Gaia mission and our App! 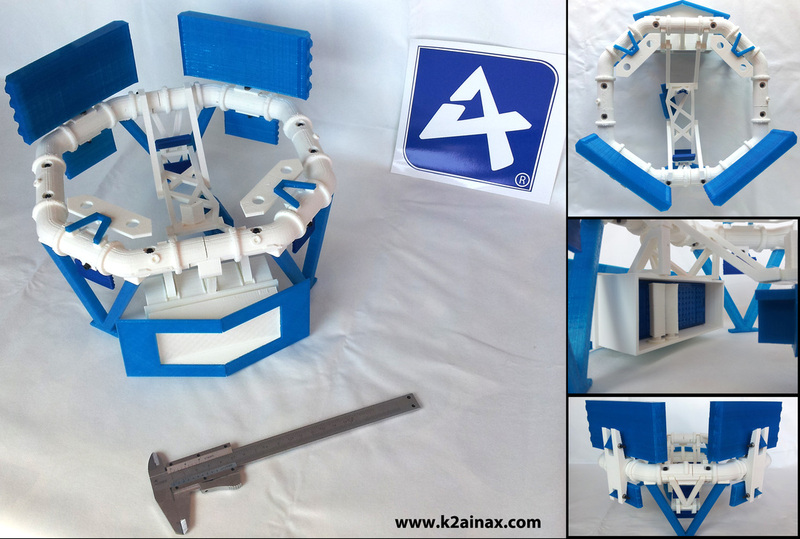 k2Ainax have created some Gaia models for educational porpouses. 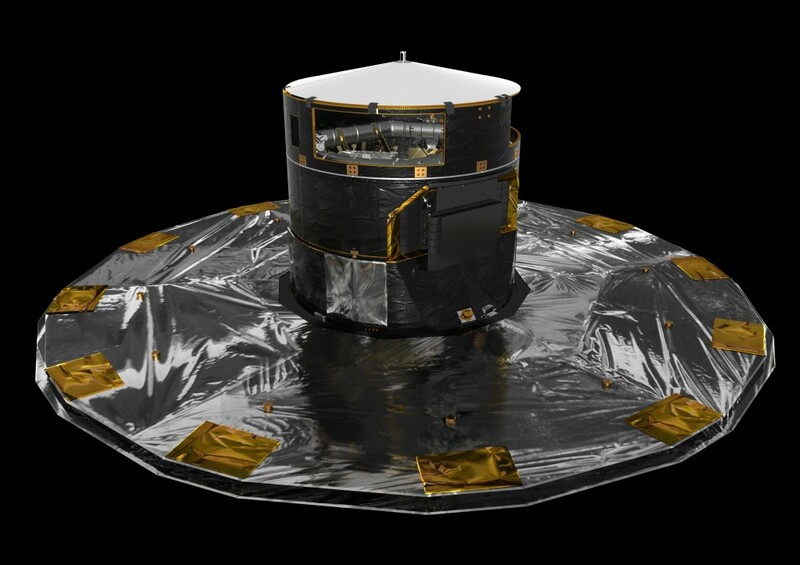 Two different models are currently available, the Gaia spacecraft, and the Gaia payload.